The defender was part of the Hamilton Accies side which stayed in the top flight following promotion. Brian Easton hopes his experience of keeping Hamilton Academical in the Scottish Premier League will come in handy after joining Dundee. The defender has signed a one-year deal with the top flight side, who were late entrants to the division to replace Rangers. 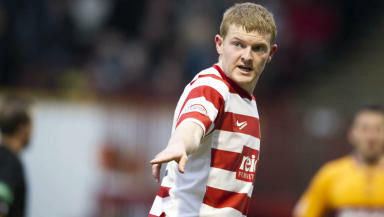 Easton, who left Burnley in the summer, won promotion with Hamilton in 2008 and was part of the team which stayed up the next year, finishing four points above relegated Inverness Caledonian Thistle. “For a team coming up the main aim is to stay in the division,” he told STV. 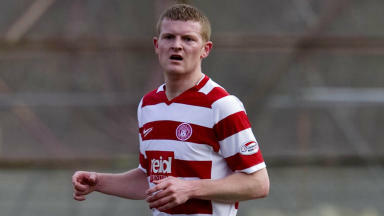 “I can bring a bit of experience as I went through that with Hamilton when we went up a few years ago. “Hopefully I can bring that and it can be an asset to the team. The main thing is to stay in the league and progress over the next few years and establish ourselves. “I am excited for the season and hopefully it all goes well. Dundee won their first match in five attempts at Hearts on Saturday and Easton is confident they have the quality to stay in the top division. “I had my first training session today and I was impressed by the standard,” he said. “They had a great win against Hearts as well, so it’s not going to be easy to get into the team.